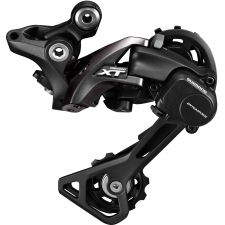 This new NX Eagle™ derailleur features the proven SRAM 1x-specific X-HORIZON™ design. 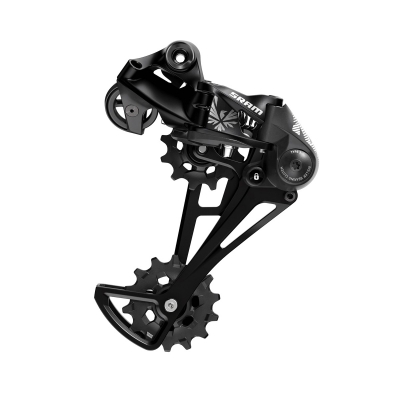 The larger, 14-tooth X-SYNC™ lower pulley easily facilitates 11 to 50- and 10- to 50-tooth cassette capacity, and also adds to NX Eagle's overall smooth-pedalling feel. The Type-3 ROLLER BEARING CLUTCH™ provides quiet, consistent performance and durability. Eagle™ is a complete drivetrain system that was developed to be an integrated high-performance ecosystem. The engineering and testing that went into the development provide for maximum performance, safety, and long-term durability to ensure a great consumer ride experience. We guarantee this performance when Eagle™ drivetrains are used as a complete ecosystem. 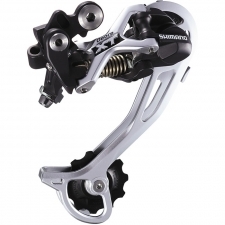 For additional information, please contact your SRAM Sales Contact. Eagle™ ecosystem-engineered mounting system and CAGE LOCK™ positioning add robustness. 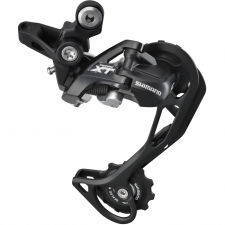 Buy your SRAM NX Eagle Rear Derailleur, 12 speed, Black from Revel Outdoors.